Ozone observations have been made by means of Dobson spectrophotometer No. 84 in the Geophysical Observatory at Belsk since March 1963. 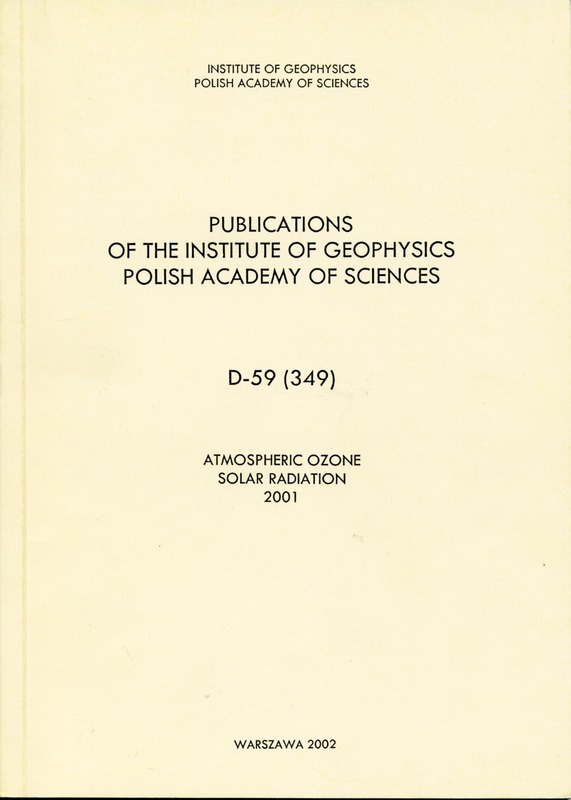 This publication presents all total ozone values and vertical distribution of ozone over Belsk in 2001 obtained from the conventional Umkehr observations. Author(s): Degórska M., Rajewska-Więch B.
Vertical distributions of ozone from Umkehr observations have been evaluated by the World Ozone Data Centre, Atmospheric Environment Service, Downsview Ontario, Canada. Vertical distributions of ozone as well as daily values of total ozone are also published by the Atmospheric Environment Service of Canada in cooperation with the WMO (Ozone Data for the World). Author(s): Jarosławski J., Rajewska-Więch B. The Brewer spectrophotometer No. 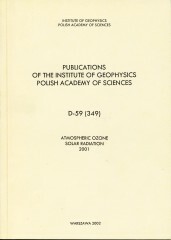 64 has been installed in the Geophysical Observatory of the Polish Academy of Sciences at Belsk in February 1991. The Brewer spectrophotometer is an optical instrument which measures atmospheric ozone and sulfur dioxide by examining intensities of the attenuated incident solar ultraviolet radiation at five specific wavelengths. The automatic, computer-controlled operation of the instrument allows different types of measurements and calibrations to be made according to an adjustable schedule. The instrument is capable of taking direct sun, zenith sky, UV-B and Umkehr measurements in unattended operation for several days. Tropospheric ozone, sulfur dioxide, nitrogen dioxide and carbon monoxide have been measured at Belsk throught 2001. All measurements have been performed by automatic analysers produced by Monitor Labs Inc. (model 8810, 8841, 9850, 9830). The measurement site is located beyond the direct influence of pollution sources (in the region of agriculture activity) and can be considered as rural. Air intake is situated 7 m above the ground. Lack of data results from instruments malfunction. 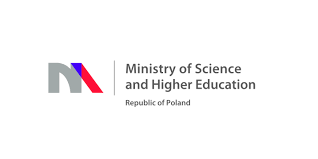 Author(s): Puchalski S., Podgórski J., Sobolewski P.